An opportunity to learn and to enjoy playing as part of a group of competent and congenial musicians. We have our own rehearsal hall. Stands and chairs are provided, and we can leave our music out. 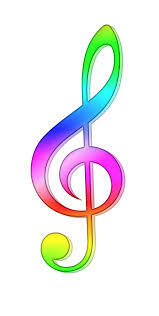 Assistance in improving musical skills is available from the music director and senior musicians. Some large instruments are available on loan. Participation in indoor and outdoor concerts. Refreshments are provided at rehearsals. Uniform shirts and caps are provided. Members have a voice in selecting the music and running the band. To attend all rehearsals and concerts, except for serious reasons. To arrive in time to warm up and be ready at the appointed time - at least 15 minutes before rehearsals and 30 minutes before concerts. To show respect to the music director by not talking or playing while he is talking, and by being ready to play and to stop playing when indicated. To maintain one's instrument in good condition, and to practice at home. To respect and contribute to the cleanliness of the band room by putting garbage in the containers provided - not on windowsills, filing cabinets or the floor.